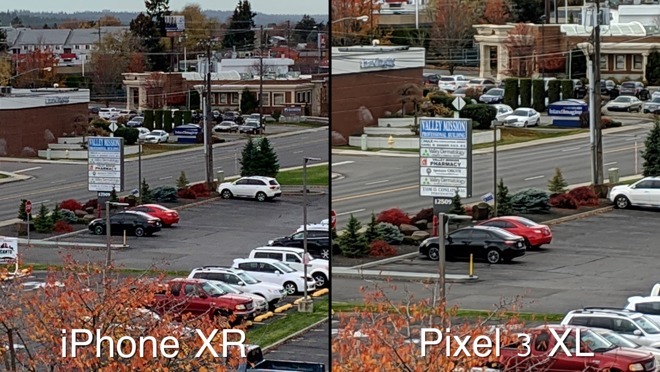 Comparing the iPhone XS Max’s camera to the shooter on Google’s Pixel 3 XL is a bit unfair, given the iPhone has a telephoto lens and costs $200 more. 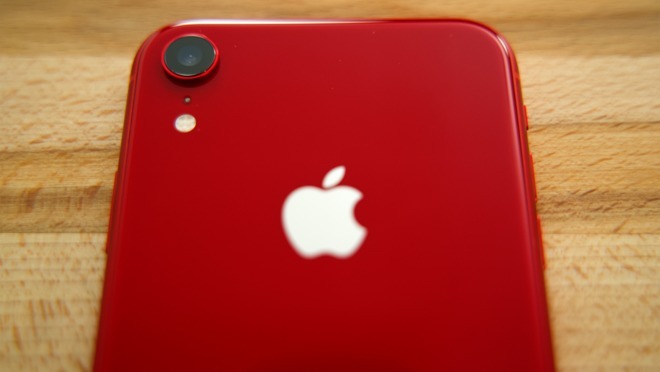 The iPhone XR has a single lens camera, just like the Pixel 3 XL, and it’s actually $150 cheaper than Google’s flagship, but will that work in the Pixel 3 XL’s favor? 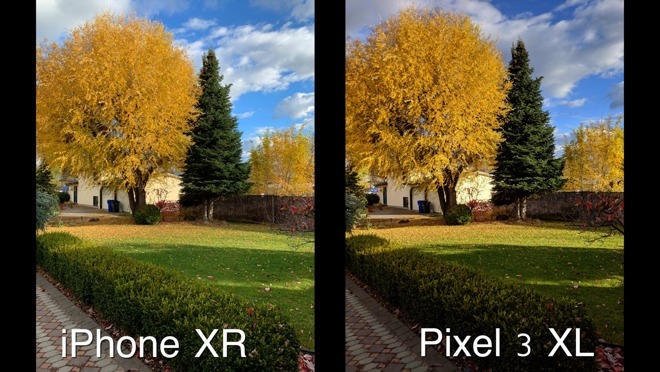 There’s been a lot of talk claiming the Pixel 3’s camera is the best in the business, though our earlier test against the iPhone XS Max suggested otherwise. 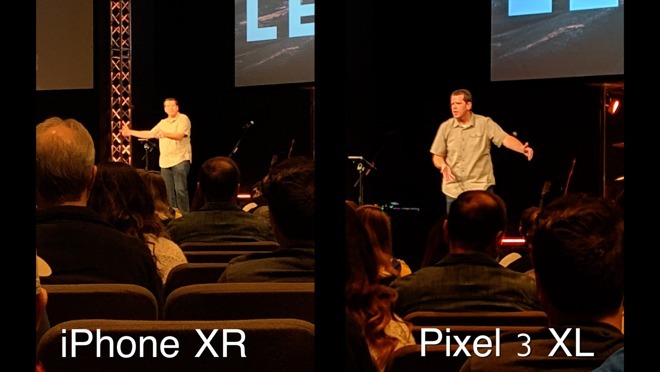 The change in cameras from two to one in the iPhone XR gives another opportunity for Google to claw its imaging credentials back when put against Apple’s latest iPhone. 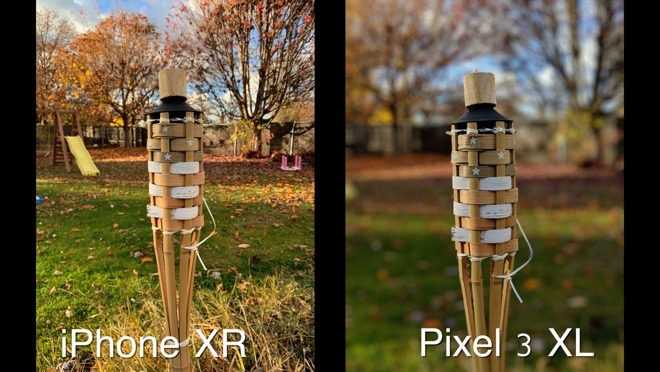 In this blind A-B test, there are 15 images shot with each phone. If you want to play along, make a note of which images you prefer from each pair. The devices are identified below the gallery, so be careful if you don’t want to spoil the surprise. 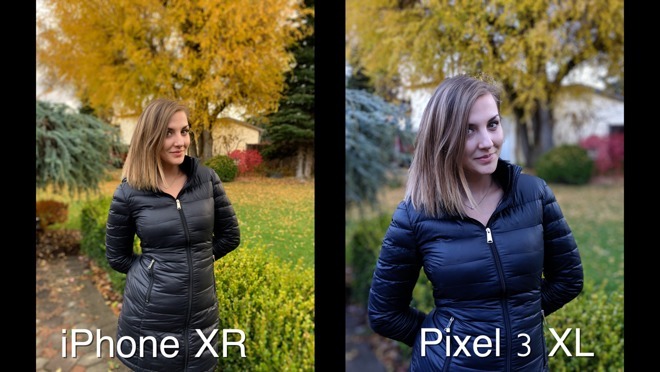 While image preferences are largely subjective and can differ between people, in my case I found I like the Google Pixel 3 XL photographs better overall. Here’s why. 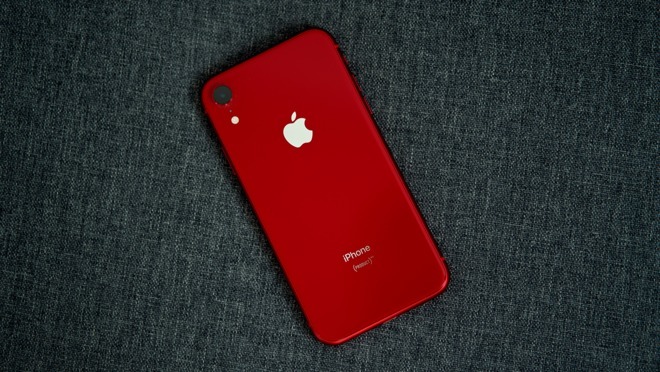 In this first photo, the iPhone just lacks contrast and looks a little bit too warm. The story’s exactly the same in this photo. As for this one, the Pixel completely bombed the white balance, making it unrealistically blue. 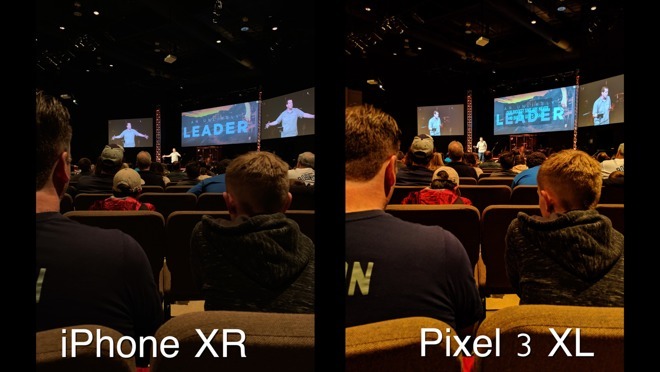 Here, the Pixel 3 messed up the white balance, but in the opposite direction. It’s now way too orange. In this one, we actually framed the shot the same by getting closer on the iPhone XR, since you can’t zoom in with a portrait photo, and it really showed the difference in compression. 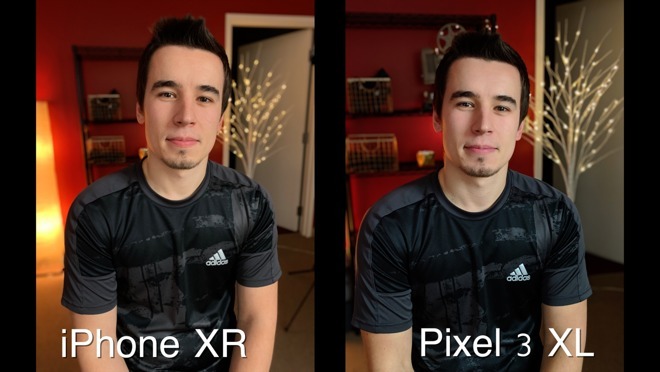 Because of this, the Pixel looks better. 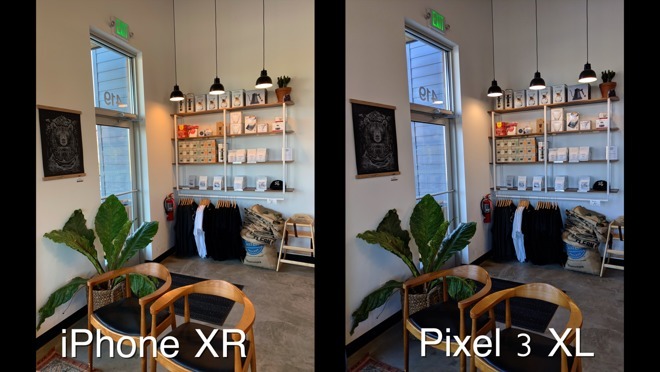 Here, the iPhone’s photo just looks really dull, which is honestly what it looked like in real life, but the Pixel 3’s photo is more pleasing to the eye. Zooming in, the Pixel could get closer and you can see more detail on the sign as well. Definitely a win for Google’s flagship here. 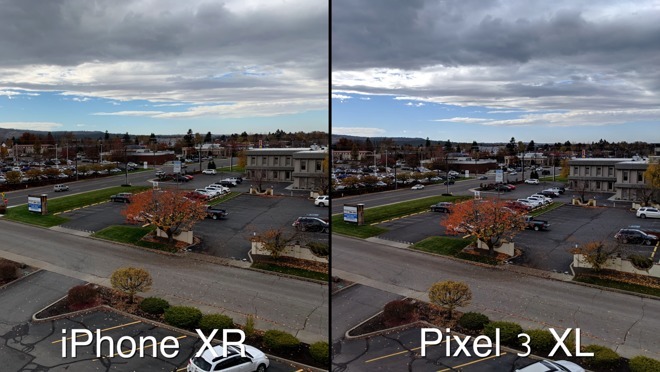 Now testing dynamic range, the Pixel actually blows out the brightest part of the sky, and I myself am darker than I am on the iPhone. The roof itself is way too blue on the pixel, so that’s a win for the iPhone. 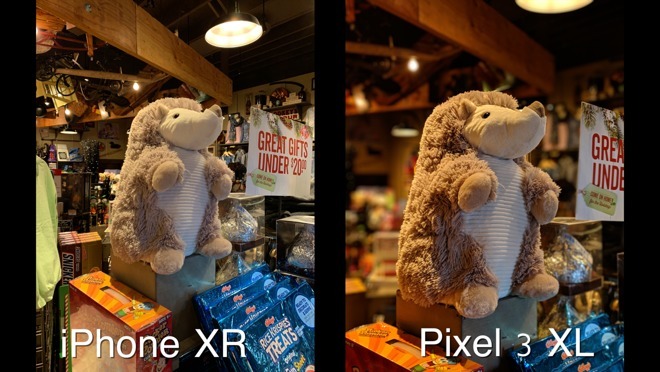 This photo basically illustrates the fact that you can’t take portrait photos of objects on the iPhone XR, which is really unfortunate because of how great the blur looks on the Pixel. And finally, we see the same thing here. 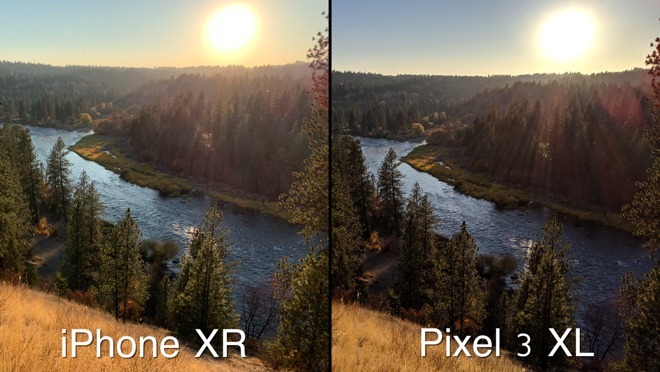 The Pixel’s photo just looks so much better with the blur. 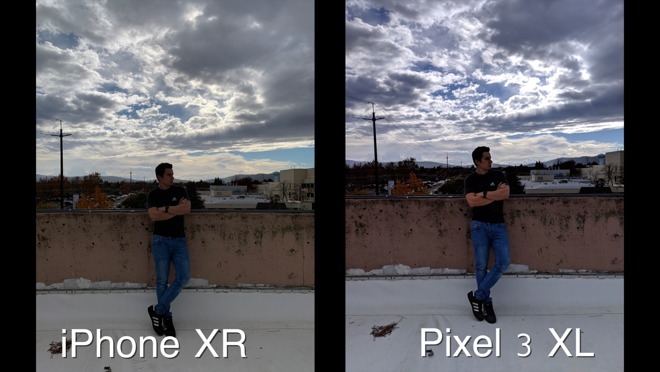 In conclusion, the iPhone did a much better job with white balance accuracy, but it wasn’t enough to beat the Pixel 3 XL because that phone crops in 2x for portrait mode photos. The cropping makes the background look less compressed because you have to stand farther away. 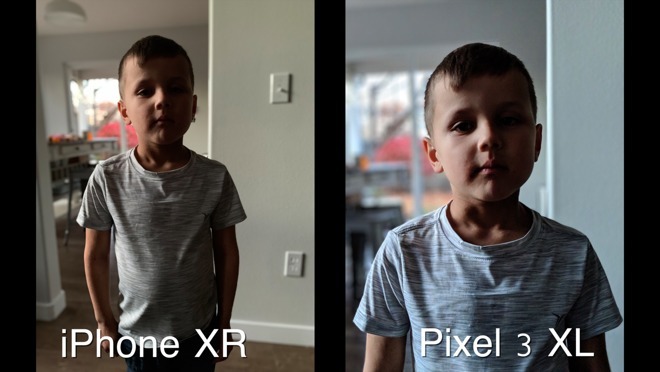 You can’t zoom in before taking a portrait photo on iPhone XR, though you can crop in in post. Not everyone is willing to do that, however. 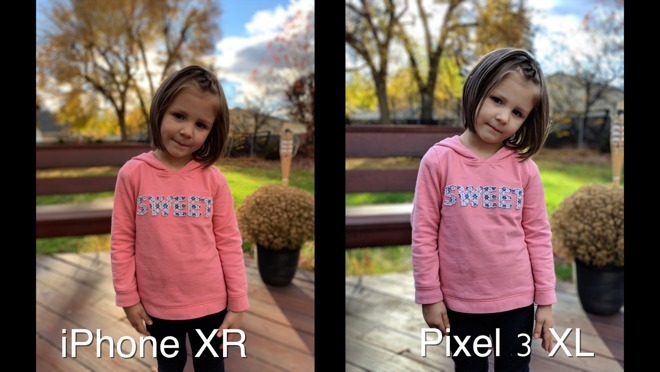 Not only that, but the iPhone’s photos lack contrast, making the Pixel’s photos look more detailed. 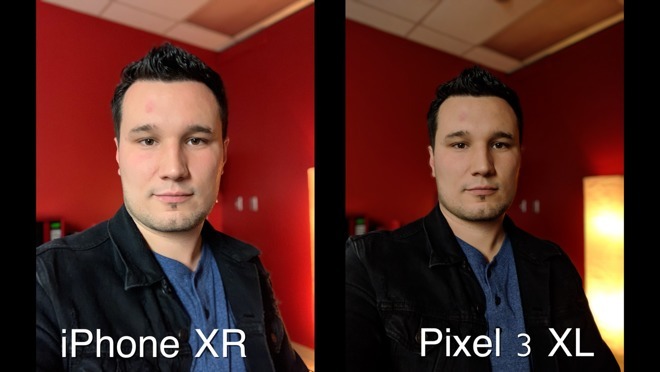 Overall, we’ve got to give the win to the Pixel 3 XL.